While African-American authors hold their own in the literary world, Black History Month gives you a chance to highlight some of the most celebrated African-American authors and their literary achievements. While some of their works highlight the rich history and achievements of African-Americans, others simply bring a new perspective to common themes and story lines. To help you determine what books to include in your classroom, we’ve compiled a list of some great works and accompanying worksheets to share with students during Black History Month. Of course, our selections only represent a small group of the wonderful books out there. 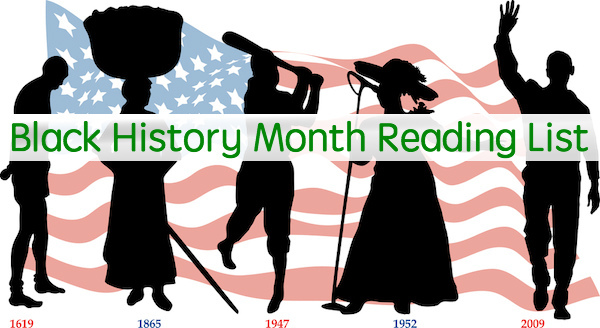 Check out some of these resources to find more books to read during Black History Month. Consider using the works above or any works by African-American authors as part of an African American Read-In. Members of the National Council of Teachers of English’s Black Caucus have encouraged educators to hold a special read-in to highlight works of African-American authors during Black History Month. Enjoy a read-in with your class or get the whole school, and even students’ parents, involved. Have a favorite book, poem, or other African-American text of your own? Share it in the comments below! Stacy Zeiger is a high school English teacher who also works as the manager of ELA content for HelpTeaching.com and serves as curriculum developer for My Sisters' Kids, an organization that provides peer support for grieving kids and teens. Stacy has her own line of character education curriculum which can be found at BuildingKidsCharacter.org. She lives in South Jersey with her husband, two children, and eight cats. Her oldest son has autism.